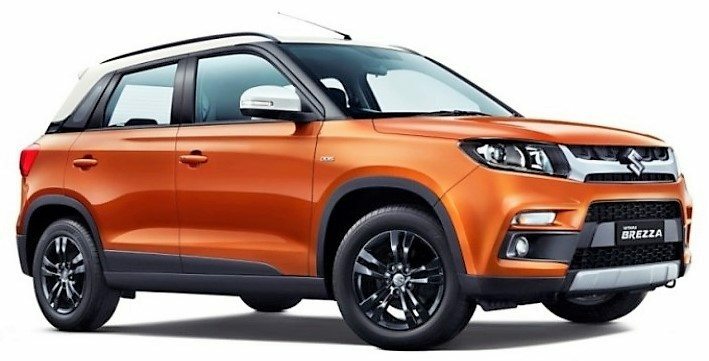 Maruti Suzuki Vitara Brezza AMT has been officially launched in India for INR 8.54 lakh. The range now goes up to INR 10.49 lakh, hinting at Maruti Vitara Brezza ZDi+ AMT with the dual tone being the top spec variant for India. No news regarding a petrol engine was made official after this launch. As seen on face-lifted Vitara Brezza, the AMT variant is also available with black alloy wheels. 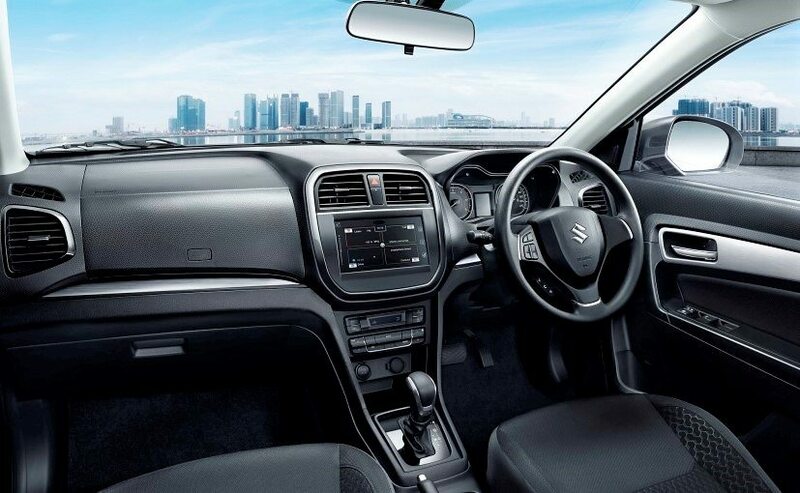 Maruti believes that their two pedal technology will help buyers enjoy smooth city rides where high traffic is mostly witnessed. *Above mentioned prices are ex-showroom Delhi. The car was also recently spotted in this dual tone orange shade for a photo-shoot. 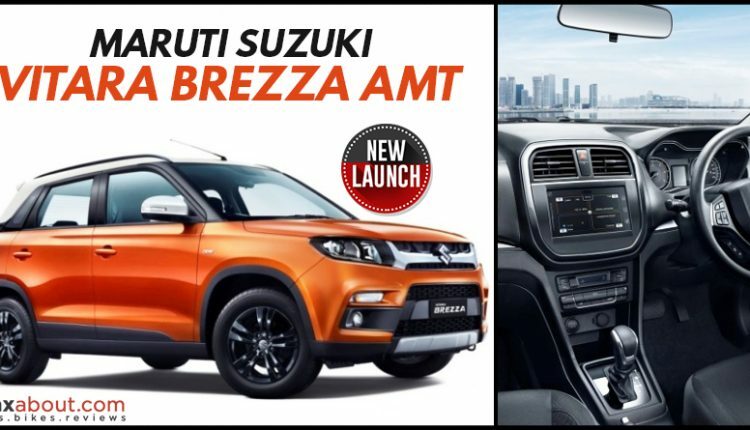 They are pretty sure that Vitara Brezza AGS (as they call their AMT gearbox) will help Maruti stand better before Tata Nexon and Ford EcoSport. Both cars were already available with the automatic option. Maruti Vitara Brezza comes with tried and tested 1.3L, 4-cylinder diesel engine producing 90 HP and 200 NM of torque. The engine comes mated to five-speed manual gearbox as standard. Maruti becomes the first brand to offer extended safety features like rear parking sensors as standard across all variants. They have even updated the front and rear grill to chrome across the entire lineup. 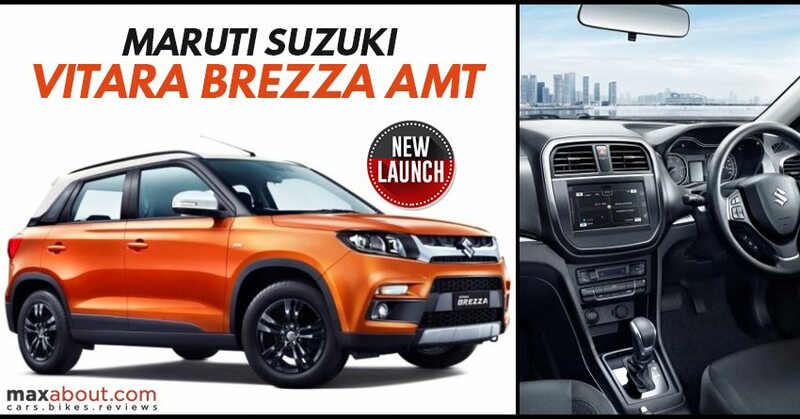 Brezza comes with all black interiors, impressive SUV design lines, and attractive dual tone shade options. It is currently the most selling compact SUV of India and could reach an even higher milestone with their new AMT gearbox option.